Collingwood Children’s Farm holds a special place in the hearts of many city folk. Where else can we get a sense of country life so close to the city? 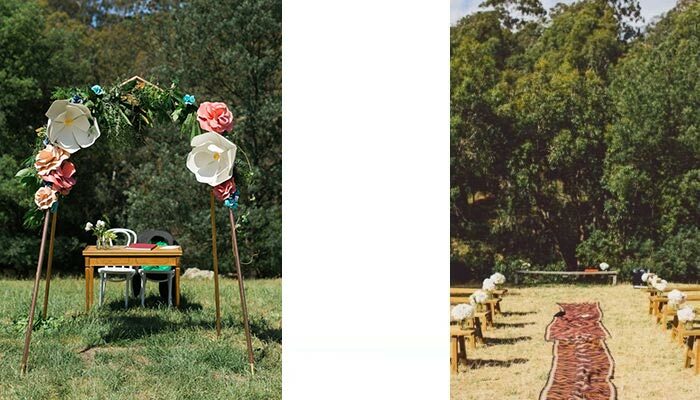 With its sprawling meadows and parkland on the banks of the Yarra River, it’s a stunning place for a wedding ceremony or celebration, both large and small. The Main Paddock, where most functions are held, offers sweeping 360-degree views. With panoramas like these you’ve got an instant backdrop for your big day. And we can help you by devising a menu that complements the landscape. The Collingwood’s Children’s Farm is 5km from the CBD and backs on to the Yarra River. Parking is free for the first half an hour, and $2 per hour thereafter. The pay station accepts cash or card. Established in 1979, the Collingwood Children’s Farm is seven hectares of gardens and farm life close to the city. With cows, chooks, pigs and all sorts of farm animals roaming the land, it was established a space for urban kids to get a taste of country life. As the name might suggest, the Main Paddock is an outdoor space, but it comes into its own with a marquee. Rest assured that all amenities are covered. The barn can accommodate sit-down receptions of up to 50 people. An impressive oak tree shades guests and offers a romantic backdrop for ceremony nuptials. 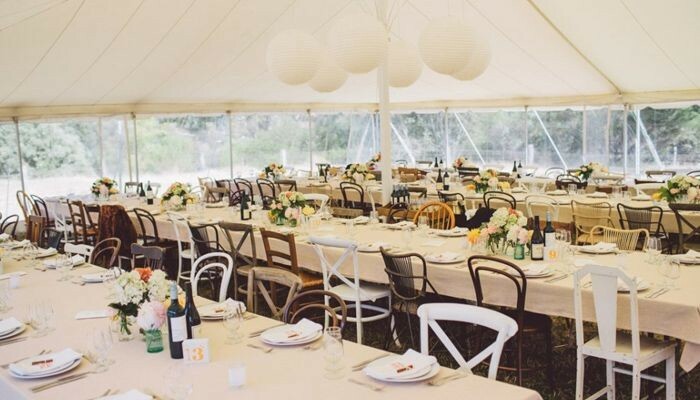 The function area is fantastic if you want a sprawling natural space, but also want to enjoy the comfort of a marquee or tipi-shaded reception. Talk to us how you can get the best of both worlds.